The Southcombe Firemaster Xtricator Gloves SB02448A have been designed to protect you when you are facing the problems posed by non-structural firefighting. Ideal for tasks such as extrications, site clearances, and urban search and rescue (USAR) applications, the Southcombe Firemaster Xtricator Gloves allow you to keep your hands protected from cuts and high levels of heat. 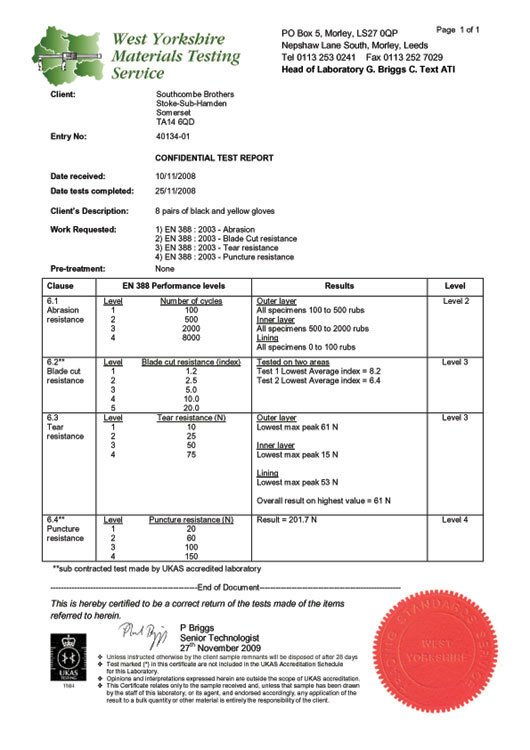 Pyrohide leather is exclusively manufactured in the UK by Southcombe and is ideal for resistance against heat, fire, water, salt-water, liquid chemicals (including sulphuric acid, hydrochloric acid, caustic soda, ethanol et cetera) and Man Made Mineral Fibres (MMMF). 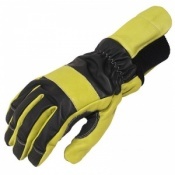 The Southcombe Firemaster Xtricator Gloves utilise pyrohide leather for the outer shell of the gloves. Pyrohide is used by 48 out of the 61 fire brigades in the UK and retains tactile properties in dry or wet weather. With a Kovenex lining, the Southcombe Firemaster Xtricator Gloves provides you with better protection against a heat. Kovenex is an inherently flame-resistant blend of non-chemically treated that also provides great dexterity and cut resistance as well. The Southcombe Firemaster Xtricator Gloves utilises strategic padding to ensure that you can perform your task as efficiently and comfortable as possible. With a 10mm high density padding on the knuckles and back of hand, you are given greater protection against impact threats. The gloves also feature a patch of soft gel padding that covers the ulnar nerve and protects against vibration and impact. The Southcombe Firemaster U.S.A.R. 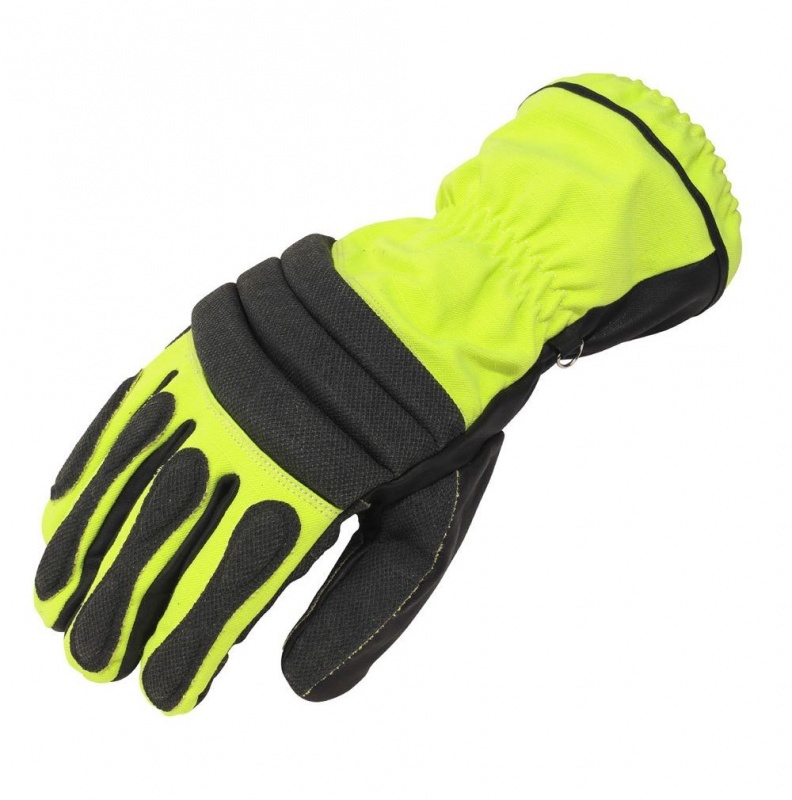 Gloves feature an aramid anti-static fabric across the back of the hand, which is highly resistant against physical threats. Protecting against abrasion, tears, and cuts, the fabric also repels water, oil, petrol, and selected chemicals. This high level of protection is ideal for situations where your hands are at risk and ensures the longevity of the glove. Southcombe takes a lot of care when it comes to designing its products and this ensures that their gloves are ideally suited to the task. The Southcombe Firemaster Xtricator Gloves feature a curved finger design that allows for greater comfort when in use and also great dexterity. The gloves are also designed to have a high visibility, which is important for extrication gloves as it makes search and rescue operations more efficient. The Southcombe Firemaster Xtricator Gloves are designed to provide you with the best comfort and protection. 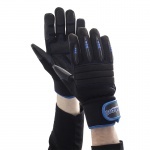 With a Velcro strap to ensure tight closure around the wrist and a gaitor cuff, the gloves prevent debris from entering. The longer style of the cuff makes it ideal for using in conjunction with other protective clothes. The Southcombe Firemaster Xtricator Gloves have been designed to provide you with great protection against a range of physical threats. For more information, please see the table below. 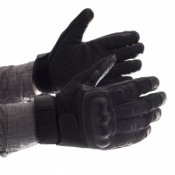 The Southcombe Firemaster Xtricator Gloves are available in six different sizes. To measure which size you need, please measure your dominant hand (whichever is larger) by making a fist and measuring the tape around the widest part (between your thumb and index finger). Refer to the table to discover the size of glove that is necessary. 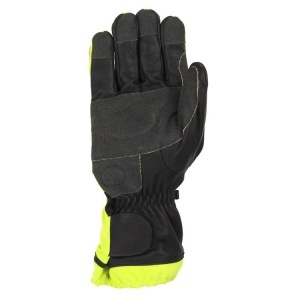 Southcombe Firemaster Xtricator Gloves are non-repairable and should be disposed of if damaged. The gloves do not require solvent based cleaners and should not be washed using cleaning agents of this type. Pyrohide leather is designed to dry quickly and remains soft and dexterous after washing.